“Our inventory of homes for sale remains low, but as new construction increases and consumers, wanting to sell, put their homes on the market; we will see a continued increase in sales and slow growth in inventory. Homes that are priced right and that are in move-in ready condition, properties are selling quickly,” said Stehlin. 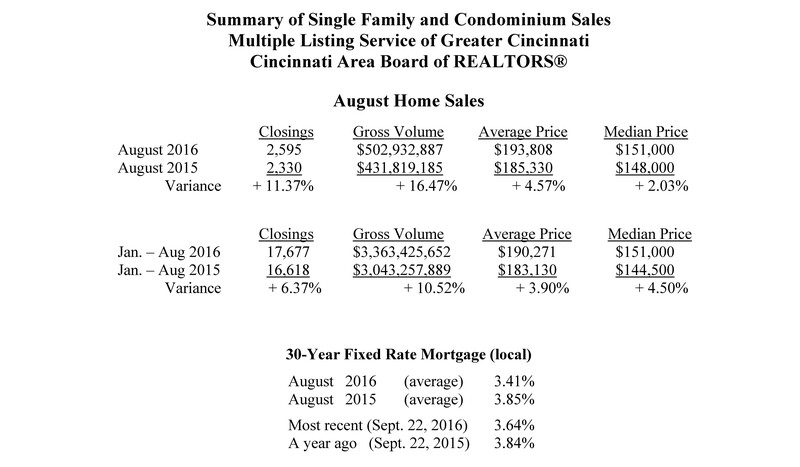 Local home mortgage rates in August averaged 3.41% for a 30-year fixed rate loan. The rates were higher at 3.85% a year ago. At these fixed rates, the monthly principal and interest payment on a $100,000 home loan with no money down would be approximately $444. Nationwide, August home sales were down – 0.9% from July on a seasonally adjusted basis, and were up + 0.8 % from August 2015.